Mr. Lammert is Founder, Principal and Chief Investment Officer of Granite Point Capital, which was formed in January 2004. He is also the former Chair of the Epilepsy Foundation, which he joined in 2013 following its merger with the Epilepsy Therapy Project, an organization that Mr. Lammert co-founded and chaired. Prior to the formation of Granite Point Capital, Mr. Lammert spent 14 years at Janus serving in several investment and senior management roles from its inception in 1993 until March 2003. From 1984 to 1987, Mr. Lammert served in equity research roles at Fred Alger Management. Dr. Shah is a highly successful pharmaceutical entrepreneur and executive who has been at Vivo Capital since March 2010. He is also the Founder and Executive Chairman of Semnur Pharmaceuticals. 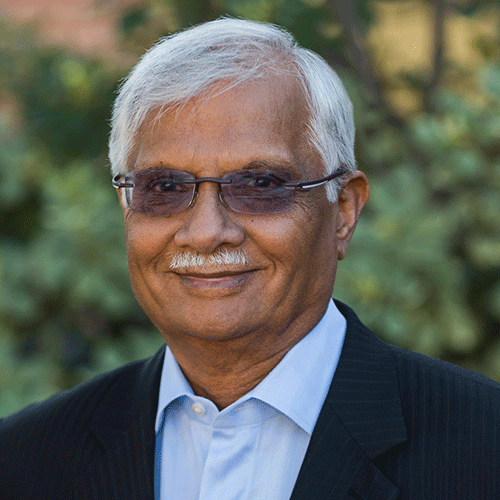 Dr. Shah currently serves as Chairman of the Board of Essentialis Therapeutics, board member of Biotie Therapies (NASDAQ: BITI), and a member of the Board of Trustees of St. John’s University. From 2005 to 2009, Dr. Shah was the Founder, Chairman and CEO of NextWave Pharmaceuticals, which was sold to Pfizer for $700 million in upfront and milestone payments. From 1993 to 2003 he was Chairman and CEO of First Horizon Pharmaceuticals, where he raised > $200 million and built a highly profitable company before it was sold to Shionogi Pharmaceuticals for $1.4 billion. From 1991 to 1999, he was Vice President of E. J. Financial Enterprises, Inc. Previously Dr. Shah served on the Boards of Unimed Pharmaceuticals (UMED), Introgen Therapeutics (INGN), Inpharmakon, Protomed, Structural Bioinformatics, and Zarix. From 1987 to 1991 he was the Senior Director of New Business Development at Fujisawa USA (Astellas) and previously he worked in various scientific and management positions at Schering-Plough and Bristol Myers-Squibb. Stephen J. Farr, Ph.D., Director - Co-Founder, President and CEO of Zogenix, Inc.
Dr. Farr has been President and Chief Executive Officer of Zogenix (NASDAQ: ZGNX) since April 2015, where he served as President and Chief Operating Officer since the company’s founding in 2006. Previously, Dr. Farr held positions of increasing responsibility at Aradigm Corporation from 1995 to 2006, serving most recently as Senior Vice President and Chief Scientific Officer. From 1986 to 1994, Dr. Farr was a tenured professor at the Welsh School of Pharmacy, Cardiff University, UK, concentrating in the areas of biopharmaceutics. Dr. Farr is a Director on the Board of SteadyMed (NASDAQ: STDY) and two private companies, Oscillari, LLC, and Flow Pharma, Inc. He is author/co-author of > 180 scientific publications and patents and retains his academic interests as adjunct Professor in the Department of Pharmaceutics, School of Pharmacy, Virginia Commonwealth University, Richmond, VA.
Dr. Abrams is the Chief Executive Officer and a Member of the Board of Directors of Cerebral Therapeutics. Prior to founding Cerebral Therapeutics, Dr. Abrams founded Sierra Neuropharmaceuticals, Inc.; raising $21.5 million in Series A venture capital. Dr. Abrams has practiced as a neurosurgeon and a psychiatrist and served as head of the Department of Neurosurgery at St. Joseph’s Hospital in Denver. Dr. Abrams’ expertise with implantable CNS infusion pumps, experience in cerebrospinal fluid drug delivery and in the use and development of CNS pharmaceutics makes him well suited to lead Cerebral Therapeutics development of implantable infusion systemic medications for patients with severe medically refractory epilepsy.